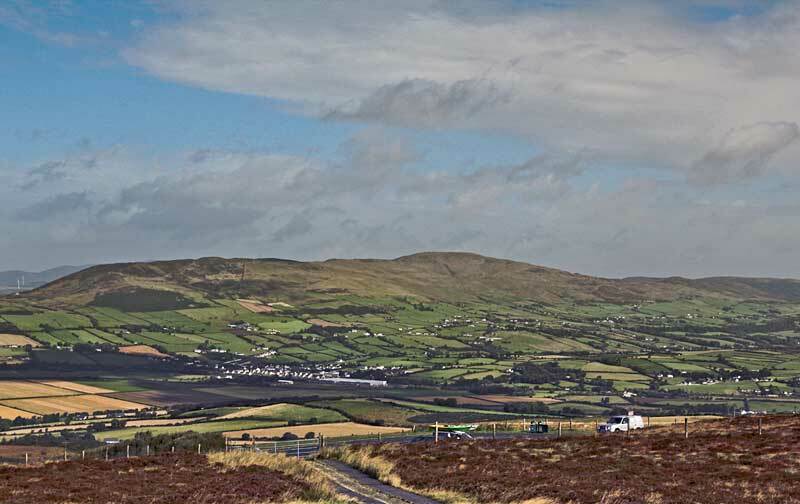 Scalp Mountain is the 612th highest place in Ireland. High point of a ridge. Scalp Mountain is the highest point on a ridge stretching approximately west (at Cashel Hill) to east where the ridge turns towards the NE (at Crockglass). One way of visiting it is to start from around Grania's Gap at around C431 277 A, where a road goes over a col on the ridge, and walk along the rough vegetated skyline to Scalp. Another way up starts from C396249 B. The private access road may have the sign "closed" on it, however to the left of this is the house of the owners of the road, who in the past have readily given permission to use the road, even for walkers to drive up part way.